Oranges have a history of flavouring vodka in Poland and although during communist times they were extremely rare, in the 1800s they were grown in hot houses on country estates and very popular ingredients in Polish Cuisine. Soczysta Orange translates literally as "juicy orange" and is produced using natural orange essences. 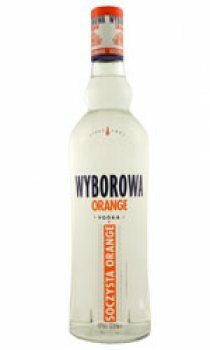 Lightly creamed orange zest combined with the flavours of freshly squeezed juice and fruit oils make this vodka enjoyable enjoyed neat over ice, and in fruity cocktails.